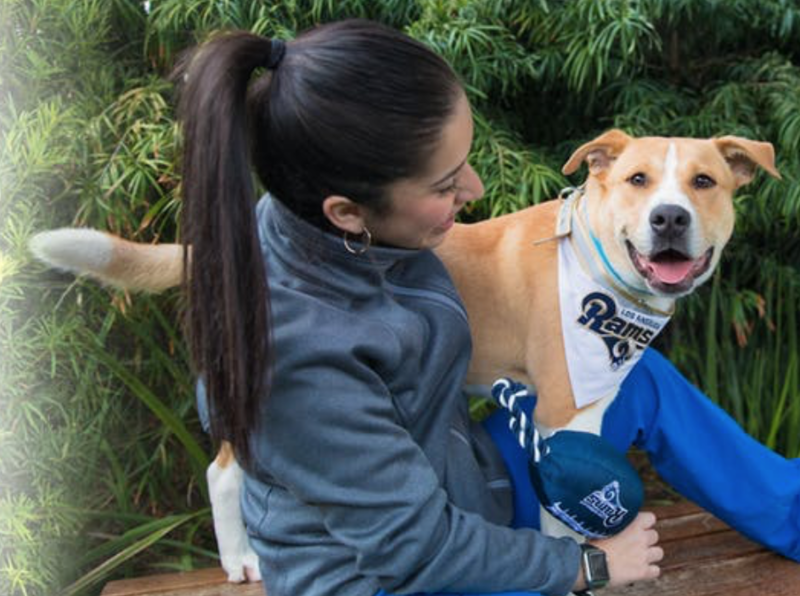 We're cheering for the Los Angeles Rams! Join us on Sunday, February 3, as we gather to watch the big game and the Puppy Bowl, with our own dogs at our side. Both the football game and Puppy Bowl will be streamed in our Wag 1 viewing room on different screens, keeping everyone entertained. Complimentary food and refreshments will be provided. The game begins at 3:30pm and we'll begin seating and offering refreshments at 3pm. Your dog is welcome to join us! We have just a few rules to help make your visit a safe and happy one. By entering Annenberg PetSpace, you are physically, legally, and financially responsible for yourself and your pet for any damage you both might cause.